1. A pair of fashionable eyeglasses, complemented with 1.50 index single vision lenses, both prescription & non-prescription are available. 2. For the second prize 6 winners: each winner will win a DESIGNER GLASSES voucher that worths $30. The giveaway is open internationally, but the winners have to be located in the area their delivery can reach to. Please visit this page to get the countries Firmoo ship to. 1. 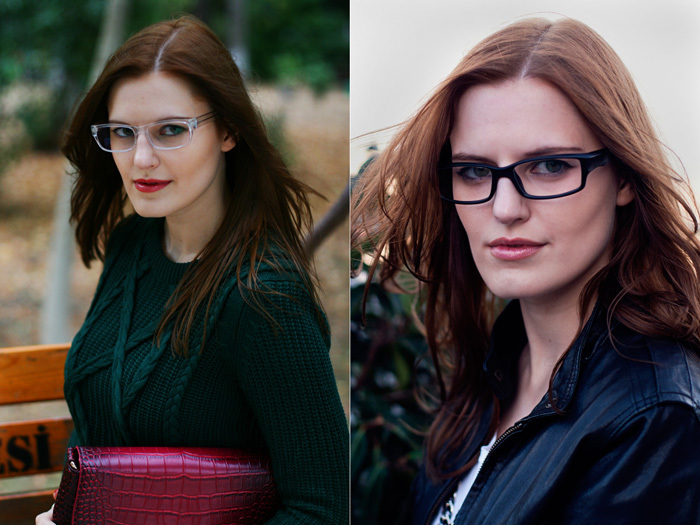 Leave a comment with writing which glasses you'd love to have on Firmoo site and your e-mail. 2. Like Firmoo.com on Facebook (click here). 3. Like Tie Bow-tie on Facebook (click here). Giveaway will finish 12 of February. RU: Привет! Firmoo.com подготовила для моих читателей замечательные призы! Мне очень нравится их продукция, здесь и здесь вы можете хорошо разглядеть очки. 1. Пара модных очков, которые подобранные в соответствии с вашими зрительными потребностями. 2. Еще 6 участников получат ваучеры по $30 на дизайнерские очки. Розыгрыш международный, перед участием убедитесь, что ваша страна есть в этом списке. 1. Оставьте комментарий с ссылкой на очки, которые вы хотели бы выиграть и адрес вашей электронной почты. Розыгрыш проходит до 12 февраля! You look perfect in both. So nice pics. Have a great day. Good luck everyone!!! cool giveaway!! Love the first pair on you, they look so modern and chic. Cool cool give away! Love how you look in eyewear!!! Those glasses are so chic. Very stylish another have prescription glasses too which is great. What I nice shoot! You look great! Thank you for visiting my blog and you run a great one here.. keep in touch! I have glasses Firmoo, i love this glasess!! Thanks for visit our blog, we follow yout blog now! LOve this pair! (http://www.firmoo.com/eyeglasses-p-2021.html) Hope to win it! followed you back on GFC, bloglovin and Facebook! great giveaway Viktoriya. Too bad I just had a new pair of eyeglasses........ You look great on them.